Pennsylvania Chihuahua Rescue View other Chihuahuas for adoption. Poor Arthur has hit a bit of a rough patch is hoping to find a loving, understanding family. He, and a few of his Chihuahua companions, were surrendered to a local shelter after their owner died. Arthur has been understandably scared and confused in a new environment. He does have some skin issues that should clear up nicely with some high quality food and immune support. The hair loss may have been due to fleas, however he has been treated and is free of those pesky freeloaders now. 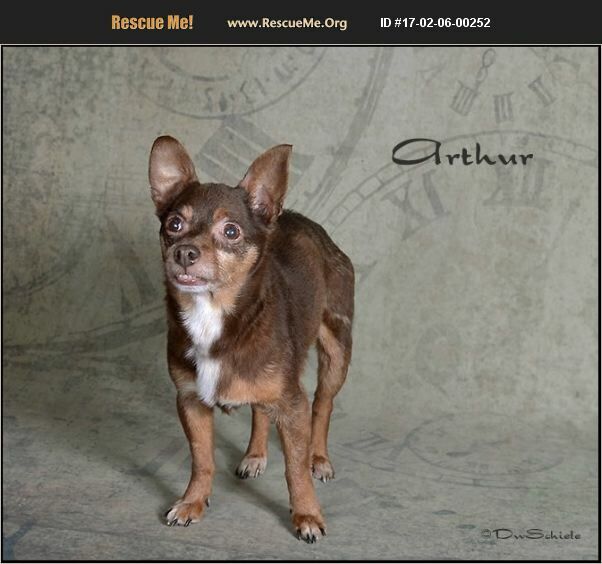 Arthur is still scared and reactive if new people move too quickly with him or suddenly try to scoop him up, but give him a little time and some gentle words and he will be your new best friend. Arthur is estimated to be around 7-8 years old, and is already neutered, vaccinated, microchipped and ready to find his forever family.